Saltwater pools have become increasingly popular due to their low levels of chlorine and low cost of maintenance. These pools use special generators that convert pool-grade salt into chlorine through the process of electrolysis. The low level of chlorine created by the pool keeps the water clean and sanitized. However, using this type of system may damage your pool liner. Though salt pools use lower levels of chlorine than chemically treated chlorinated pools, chlorine is still used and is still damaging to your liner. Chlorine is a form of bleach; and bleach, especially when exposed to sunlight, lightens the color of a pool liner and may decay the lining surface. Proper levels of chlorine in a salt pool, maintained by careful monitoring of water levels and the salt system's control panel, often cause only normal wear and tear on a liner. Vinyl liners fare better than most others at retaining their color when used in salt pools. 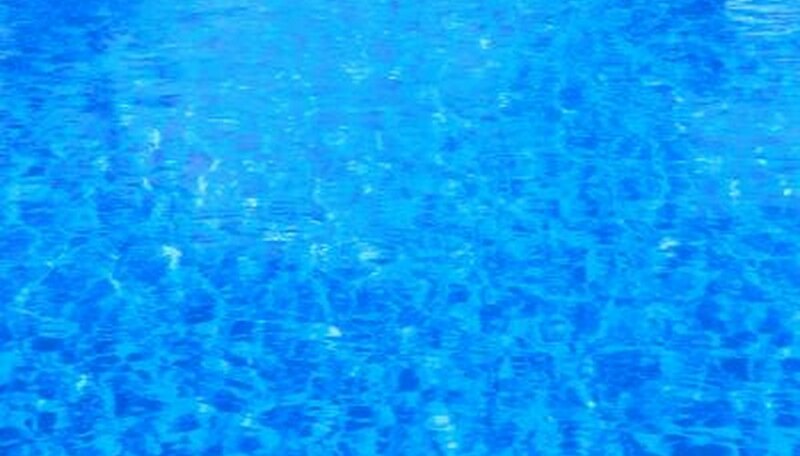 Liners occasionally wrinkle in swimming pools with excessively high levels of chlorine. Again, with a properly managed saltwater system, the chlorine level stays at a reasonable level and wrinkling often does not occur. However, if the chlorine level gets out of control and becomes too high for too long, the liner may react to the excessive chemical by swelling or shrinking. As this occurs, the liner may develop wrinkles on the sides or bottom of the pool. The best method of repair for wrinkles resulting from chlorine overload is to replace the liner. Saltwater is extremely corrosive to certain types of metal pipes and pool equipment. Occasionally, saltwater pools are equally corrosive to pool liners. If saltwater wears away the lining of a pool long enough, it will create holes or tears in the liner. Once the liner tears, you'll have no choice but to replace it. Furthermore, as saltwater leaks from the pool it can cause damage to the walls of the pool behind the liner and the area surrounding the pool. Aside from bleaching, stains or other discoloration may occur to pool liners due to salt pool systems. Certain types of lining, such as stone liners, may be irreparably damaged by exposure to the water. Crystallization often occurs around the water line of the stone liner as a result of the sunlight, oxygen, chlorine and salt in the water. Granted this damage occurs over time and not immediately, but a lining such as stone is difficult or even impossible to replace. AskAlanaAQuestion.com: "Vinyl Pool Liner Problems"
Zodiac: Is It Possible to Use Saltwater Chlorination When the Pool Liner Is in Natural Stone? Why Are the Steps Yellowing on an Inground Pool? How Long Does Stamped Concrete Need to Dry Before It Rains?